The Geneva Motor Show is just a few short weeks away, and the list of international debuts is quickly growing. 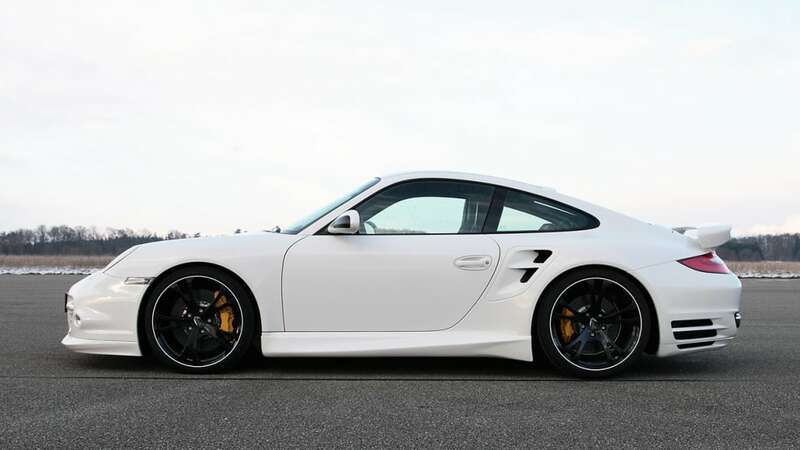 We can now add one more to the list, with the announcement from Techart that the tuner will be unveiling their personalization program for the new Porsche 911 Turbo and 911 Turbo S.
The upgrades for the 911 Turbo start with two separate aerodynamic kits that both reduce lift and improve airflow around the coupe Techart is also offering a selection of forged wheels, available in up to 20 inch sizes, as well as a hydraulic system that can lift the nose of the car 60mm. Finally, a variety of interior components are available a three-spoke steering wheel, aluminum pedals or a complete makeover with all-new leather. Hit the jump for the official details from Techart, and be sure to check back next month for live photos from Geneva. 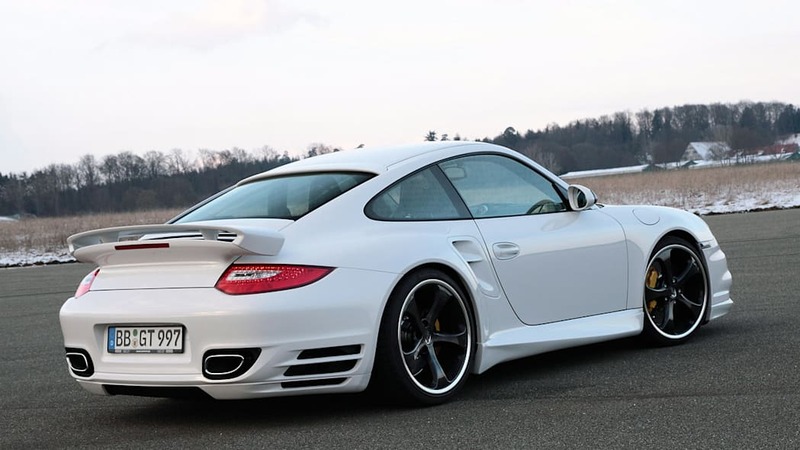 Since 1974, this vehicle has been making the hearts of true sports car fans beat faster: the Porsche 911 Turbo – a masterpiece made of the finest materials and a symbol of top engineering and design. An almost-perfect sports car. Almost, because individuality and personality are essential elements in achieving perfection. TECHART automobile design stands for the creation of individual masterpieces for sports car enthusiasts looking to give their vehicle a touch of individual flair. The result is the TECHART personalization program for the new 911 Turbo and 911 Turbo S models consisting of a new aerodynamic package, light metal wheels, and exquisite interiors will be presented in early March at the 80th international Motor-Show in Geneva, Switzerland. The new Aerodynamic Kit I emphasizes the Turbo's inner strengths without being excessive or overloaded. The sturdy RIM polyurethane exterior reduces aerodynamic lift on both axles, allowing smoother handling capability at extreme speeds. 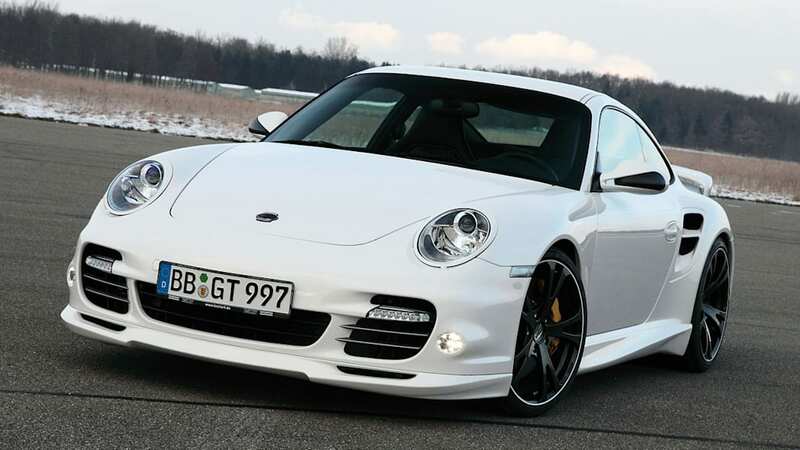 One striking feature is the front spoiler, with its dynamically-accented air intake valves and seamless integration. As your eyes pass to the side of the vehicle, you notice the airflow-optimizing side sills, which are stretched to make the vehicle seem to sit lower. A small roof spoiler on the Coupe elongates the visual appearance of the roof line. 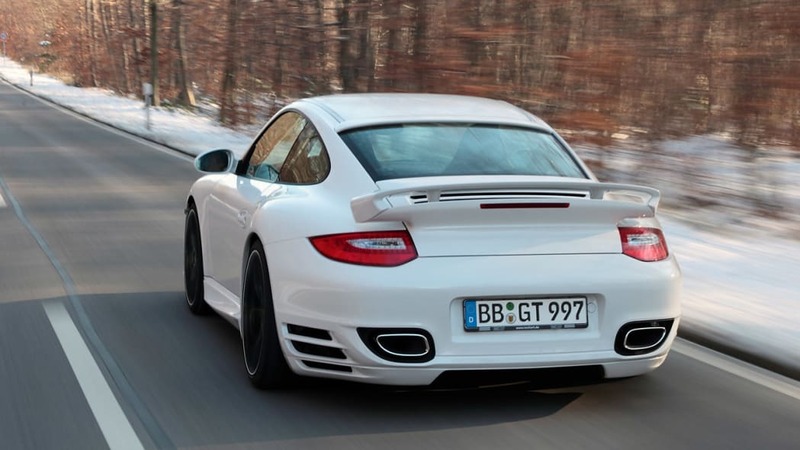 The spoiler profile can generate additional downforce with the extensible rear spoiler. 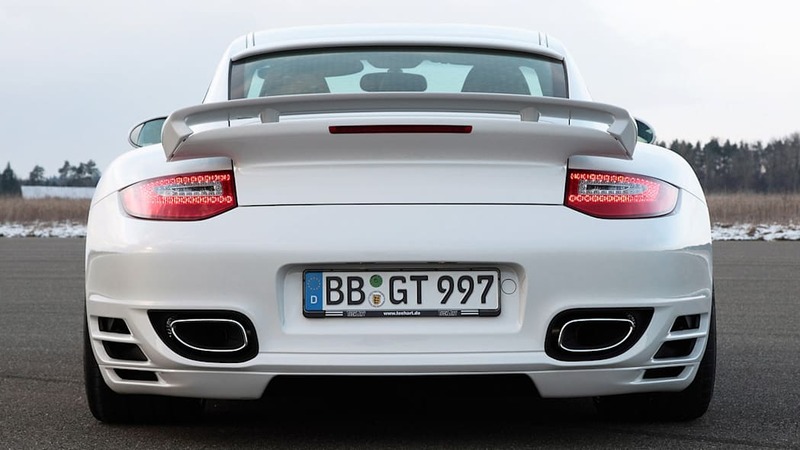 Rounding off the modified back end is the diffuser, which extends the standard skirt downwards. 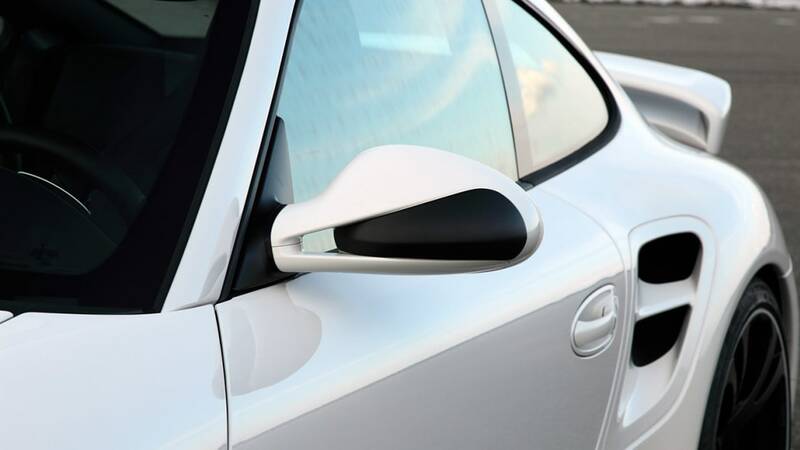 Personalized mirror moldings add yet another sporty accent and enhance the unique TECHART appearance. 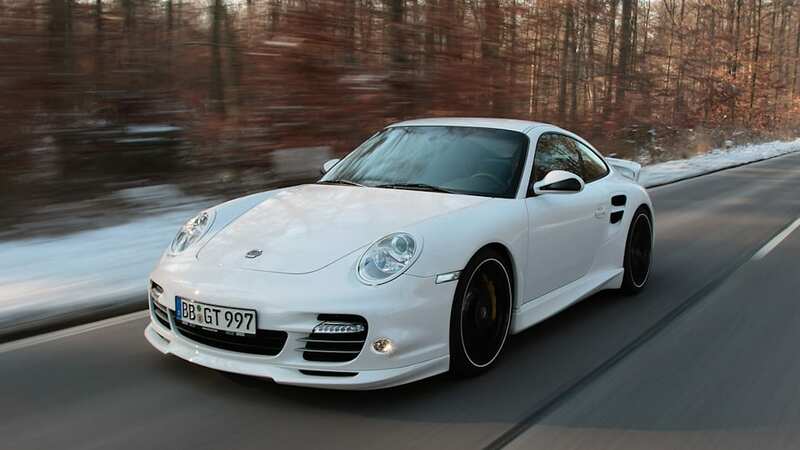 The same applies to the TECHART Aerodynamic Kit II. Independent front and rear spoilers optimize mass air flow for improved ventilation of the braking and intercooler systems. 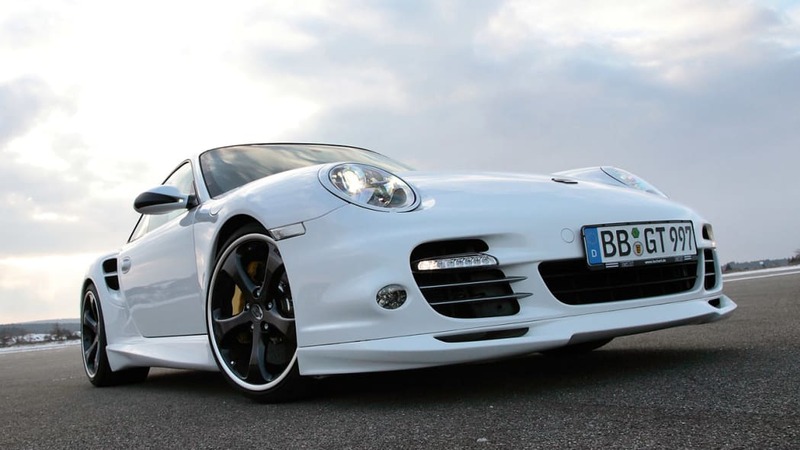 TECHART's multifunctional daytime running lights are available for the front spoiler II. It combines daytime running lights, position illumination, sidelights, parking lights, and turn signals in a combined housing that fits seamlessly into the design of the vehicle front. The display brightness of the daytime running lights automatically adjusts to the selected daytime lighting setting. Furthermore, the daytime running lights dim automatically when either of the turning signals is active, in order to improve their visibility. 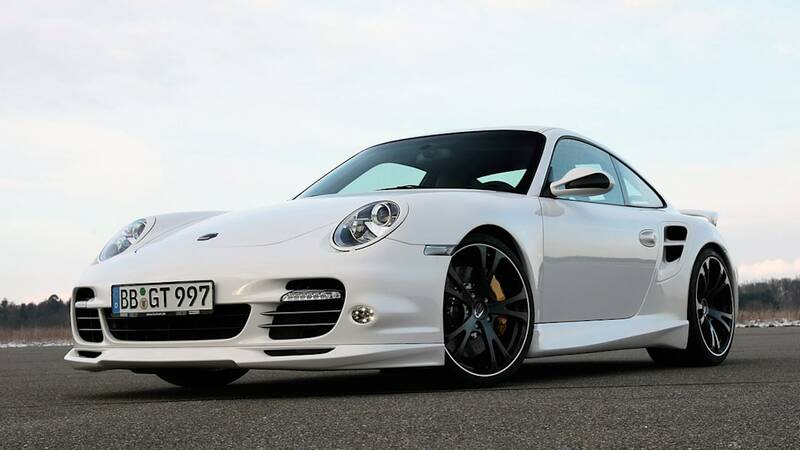 In addition, TECHART's Noselift System is also available for the new 911 Turbo. This makes problems with everyday obstacles a thing of the past for this vehicle. At the push of a button, ca. 60 mm of additional space can be created between the road and the front spoiler by lifting the vehicle height on the front axle. The hydraulic TECHART Noselift System is very reliable, easy to retrofit, and exhibits the everyday applicability you expect from TECHART. options. For exteriors and interiors, TECHART knows how to engage the emotions – and please the senses. Experience the TECHART personalization program yourself for the Porsche 911 Turbo and the 911 Turbo S at the Geneva Motor-Show from March 4–14, 2010 at the TECHART Stand in Hall 2.